Good Morning TMS friends. Thank you so much for joining us this week. You all did so great on your cards. Before I get to the announcement of the winner this week, I wanted to let you know that Tuesday Morning Sketches is now on Instagram. We would love if you'd come follow us! 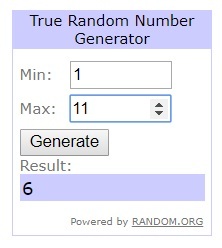 Okay, now let's announce who is the lucky winner of the Pink and Main surprise prize. Congratulations Dawn! Please email me at tuesdaymorningsketches at gmail dot com and enter "Winner TMS #476 Pink and Main Surprise" in the subject box. Thank you all so much for joining us and we hope you have a fantastic Monday. We'll see you tomorrow with another lovely sketch. Thank you for selecting this card as a favorite this week! I had so much fun creating from that sketch! Congrats to the winner and the top picks! I LOVED this sketch, thanks for picking me!